Are There Ways to Start a Supplements Business Online for Free? In today’s world, everyone wants to earn more and more as they don’t see a chance of getting raise in their pay. The salary increment is only possible when you get a promotion which is not an easy task in this competitive era. So, if you too want a second income but are not interested in working for some other person then starting your own business would be a great idea. And if you are looking to do a home based business with selling the supplements, then you should know the best way to achieve your goals. 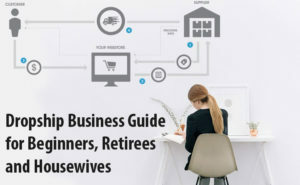 Using online sources for earning an extra income is something that so many people are trying to do. Drop shipping allows you to sell supplements online and earn money without any investment. 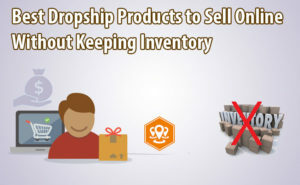 Dropship is a process where the supplier or manufacturer supplies the stock directly to your customers on your behalf. You don’t have any need to keep the inventory with you. It is a process when you sell another company’s product for them and then they ship the product you sold to the buyer. You are the owner of an attractive online store selling different products. You, at your online store, take the orders from the customers and pass them to your wholesale drop shipper. Then he ships and fulfills the order to your customer. That’s your part done. Now you can continue with the selling without getting worried about the rest of the stuff. You only act as the mediator between the supplier and the manufacturer and earn a good amount of money. Your income is the profit margin is between the amount you charge for the products to your customers and the amount your drop shipper charges you. You get the products at a discount rate from your supplier. You don’t physically handle or see the products but still own them. This is what makes the drop shipping a center of interest. Imagine, the other companies buying the raw material then manufacture, design and invent the products using labors and paying them and give you the whole stock for free! Well, that’s the benefit of drop shipping. 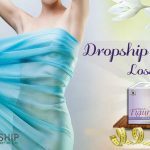 Let’s get to know more of the benefits the drop ship offers. Less investment required: This is the most preferred business just because of its less capital requirement. As you don’t need to buy stock or inventory in upfront you don’t have to rent a warehouse to keep the stock. You only have to pay for a product when a customer already has paid for it. You are an owner of a business without investing much which makes it a less risky option too. Saves a lot of time: Because you don’t deal with the packaging, shipping and delivering of the goods to the customer, you definitely have plenty of time. Neither you have to deal with the tracking and returning of the goods nor you have to manage and handle the stock. Everything is done online and your supplier does it all for you. They ship for you and keep the stock for you. You simply have to take the orders, and that’s it! Easy to start: To start a drop shipping business you need no big preparations. Just a laptop and an internet connection would be enough to get you started. No inventory holding, no capital investment, no warehouse managing the warehouse, it’s just your website and you. You also don’t have to deal with the shipping and fulfilling the orders wasting your time. Instead, you have to sit at your home taking the orders and passing them to the suppliers. When you opt for the best drop ship products to sell online, it becomes easier for you. Easy to scale: It is easy to scale your business once you get to understand the market. Knowing how the market works and what kind of products work well in the market is very essential. Once you get good at it you can add more goods to your store contacting multiple suppliers. Scaling your business is easy as the workload doesn’t increase with the increase in the sale because you don’t deal with the shipping and fulfilling process. It will only increase the work of the supplier. Wide selection of products: As you don’t have to physically handle the goods or to buy them paying a hefty amount of money. You can choose a variety of products to add to your online store. You can change them according to the season and depending upon the market demand. You can also experiment adding newly launched products once you are established as this business includes no risk. But always keep this in mind to never go down with the quality. Low overhead cost: If you plan to expand your business there is no worrying about the overhead cost. Increase in work won’t need any larger amount to invest. As you don’t have to keep the labor or pay them the wages your overhead cost always remains low. No matter how many products you add to your store you won’t have to pay any amount till you make a sale through those products. Location independence: You need no particular place to setup a drop ship business. No office or any warehouse is needed as you don’t deal with the goods or the customers physically. Whether it is your home or you are on vacations you can operate your business from anywhere on the globe. You just need a laptop and an internet connection to keep yourself going. Now, after knowing how the drop shipping works and how it is beneficial for you, the next thing that comes up in your mind is how to acquire the products. They should be the branded and popular to start a supplements business online without having inventory. Secondly, the most common question is how to get started. Well, you have to start with finding a supplier, who provides you goods to sell supplements online and earn money without any investment. How to find a drop shipper? The first thing is to think of the product to start online business for free. Those products should be the best to sell supplements online and earn money without any investment. As you are already up with an idea of selling supplements, there is no other thing which can beat it. Supplements are selling like crazy because they are natural and healthy. Herbal supplements are popular and need no advertising or recognition and definitely are great to start an online business for free. So, it will automatically become easy for you to sell. Now, when you are done with deciding the niche, proceed to the next step. The next step is to find a good and reliable supplier. Look for the one who has plenty of experience and trustworthy for shipping your items on time. Addition to this, make sure that they keep a consistent stock update. They should be in regular contact with you so that you don’t miss out when any of the products are out of stock. When you find one such supplier, contact them and clear all your queries to start a supplements business online without having inventory. You can search local stores or you can look online for finding a drop ship supplier that offers you to start online business for free. 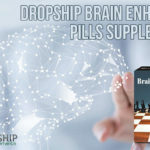 We recommend DropshipHerbalSupplements.com as the leading wholesale drop ship suppliers of natural and herbal supplements. They have a reputation in market due to their high quality and world class range of products. Natural supplements are the best when you plan to sell supplements online and earn money without any investment. 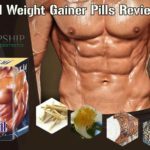 Selecting DropshipHerbalSupplements.com as your drop ship partner gives you these world class products to start a supplements business online without having inventory. 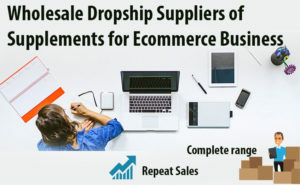 Register for the drop ship program: After getting done with finding a good supplier go to their website and join the drop ship program they offer. Make a drop ship account on their website entering your details. Read about their conditions and get well acquainted with their drop ship program. The next step is to find the products to start online business for free. There you will find a list of products to start a supplements business online without having inventory. Choose products: Scrolling through the list of dropship products they offer to select the best products and start online business for free. Although herbal supplements are best to start a supplements business online without having inventory, you should choose the best seller ones as it will ease the process for you. You will get the images and details of the products with the listing, read them carefully. As the customers need to know the details of the products before buying them. Write a unique description for each of the product you choose to sell. List the supplements: Now, the final step is to sell supplements online and earn money without any investment. List the supplements with their details to Amazon, eBay or any other online market places. There are a lot of sites which get a lot of traffic and are popular for selling products. You can also create your own online store for selling products. Once you receive order, collect the money from the customer and confirm the order. Now, simply log in to your drop ship account and place the same order of the supplement paying them the discounted rate. Your supplier will ship the order to your customer. The difference margin will be your personal profit. These are the simple steps to start your online business and to sell supplements online and earn money without any investment. Soon you will be having your store working for you in no time. So get yourself ready to jump in the world of drop shipping and roll the money into your pocket. Choose the herbal supplements as the products to dropship and make your dream of being a successful drop shipper come true.